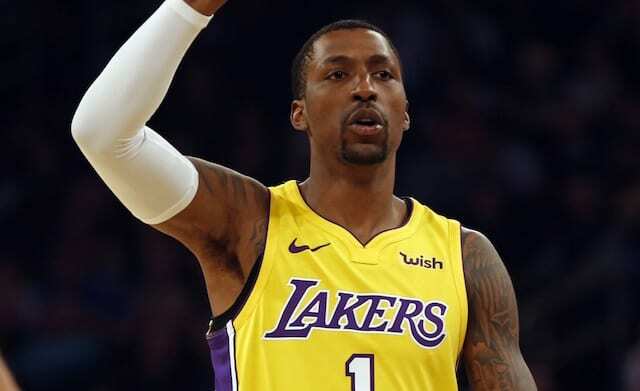 Already without Lonzo Ball for a second-straight game and eighth overall this season, the Los Angeles Lakers possibly Kentavious Caldwell-Pope to injury just before halftime of Wednesday’s game against the Oklahoma City Thunder. Caldwell-Pope suffered the injury when Andre Roberson rolled into his right leg while the two went after a loose ball. The collision caused Caldwell-Pope’s ankle to bend inward, and he attempted to remain in the game before walking gingerly off the court. KCP has a right Achilles tendon strain and is questionable to return. KCP is out. Gave it a try at halftime, but said he couldn’t go. Caldwell-Pope scored 10 points, had one rebound and two assists in 15 minutes on the night. 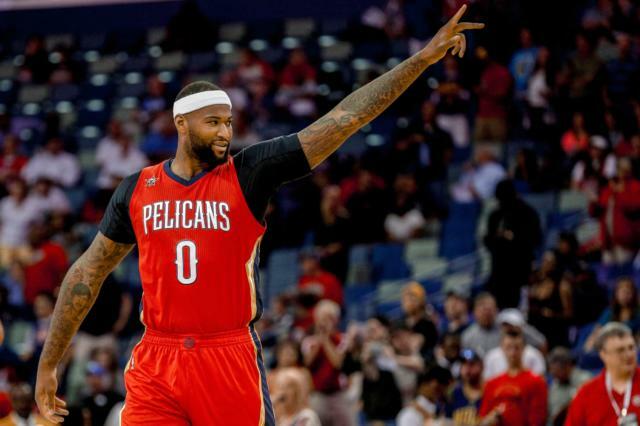 Following a loss to the Memphis Grizzlies, Caldwell-Pope said he felt a need to be more aggressive so long as Ball and Brandon Ingram were out. Josh Hart started the second half in place of Caldwell-Pope. The Lakers presumably will rely more heavily on some combination of Jordan Clarkson and Hart, and potentially Gary Payton II who signed a two-way contract with the team earlier this week. Caldwell-Pope entered the night averaging 13.8 points and 4.9 rebounds per game this season. He’s recently increased his production and consistency since completing a 25-day sentence for violation of his probation. After concluding their three-game road trip on Wednesday, the Lakers return home for three games at Staples Center, beginning Friday. They play every other day through Jan. 23.